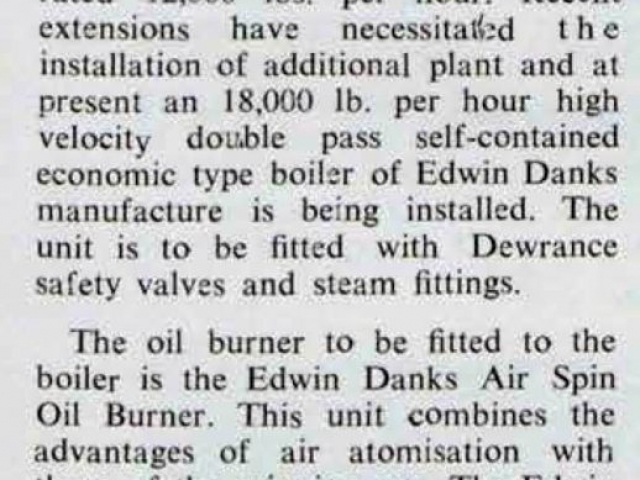 Edwin Danks had left the area for Australia, with a lump sum from his father intended for a sheep venture. 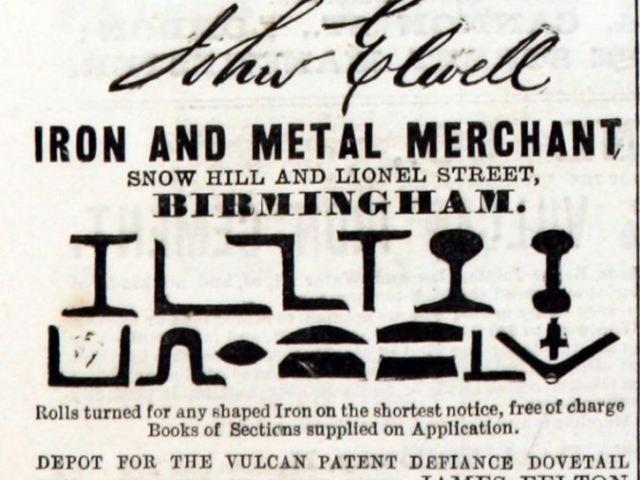 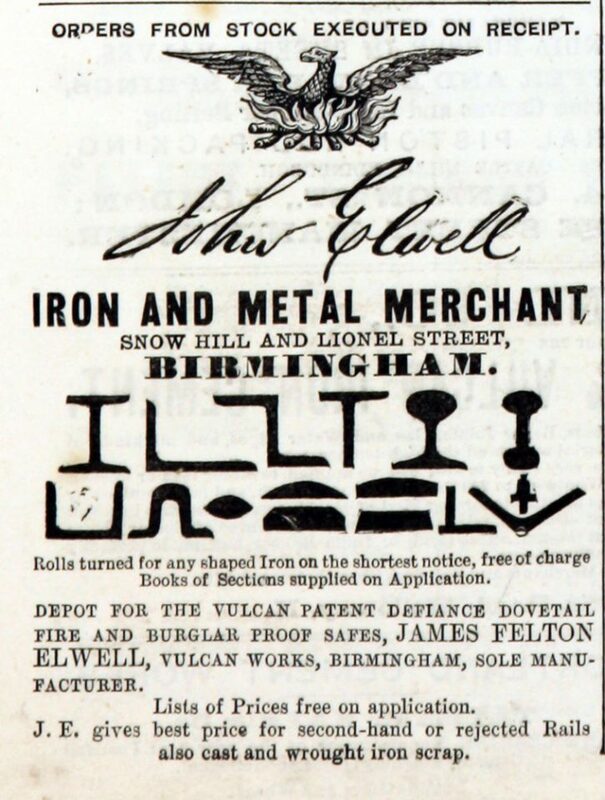 He did not become a sheep farmer, and later returned to Birmingham and went (unsuccessfully) in the jewellery business. 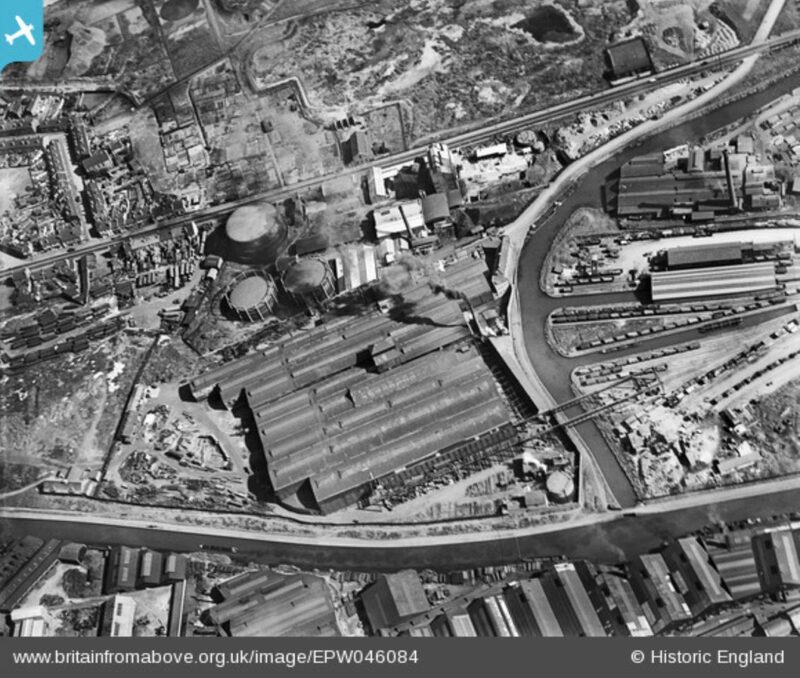 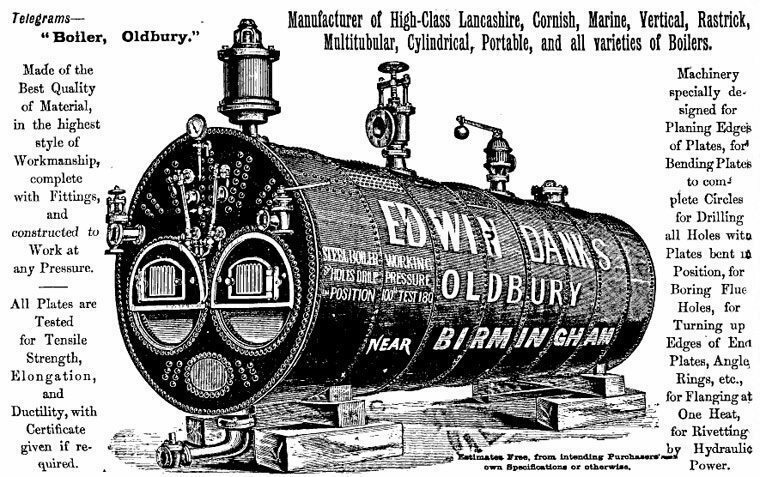 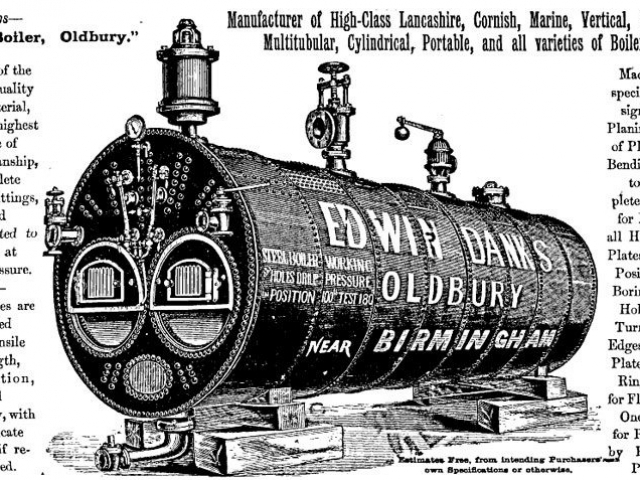 He then set up a boiler company in Oldbury in 1868, in competition with his father, uncle and brother (who owned a boiler works in Netherton). 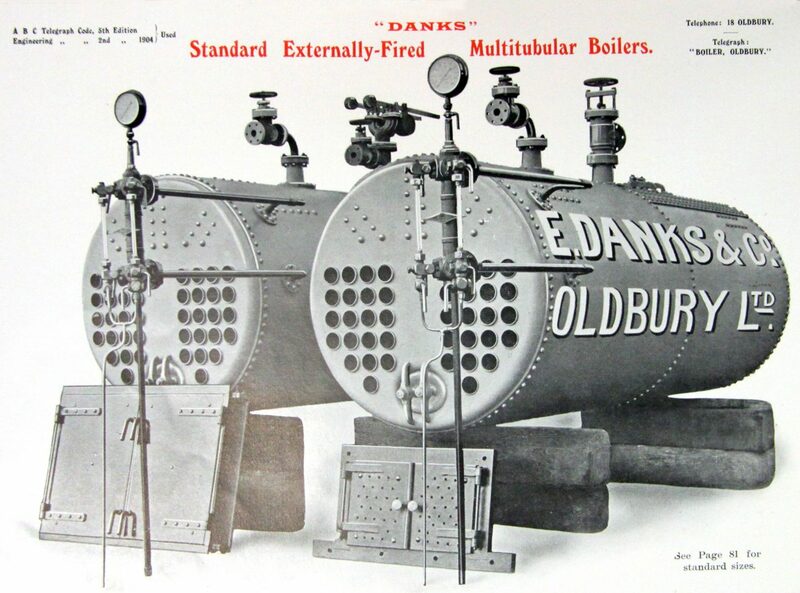 In the 1860s, his firm made tanks for the local brickworks. 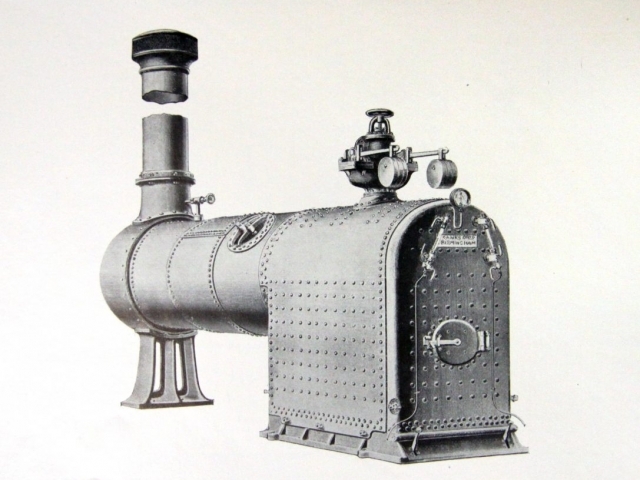 By 1876 they were making shell boilers and began supplying larger firms such as B.S.A. 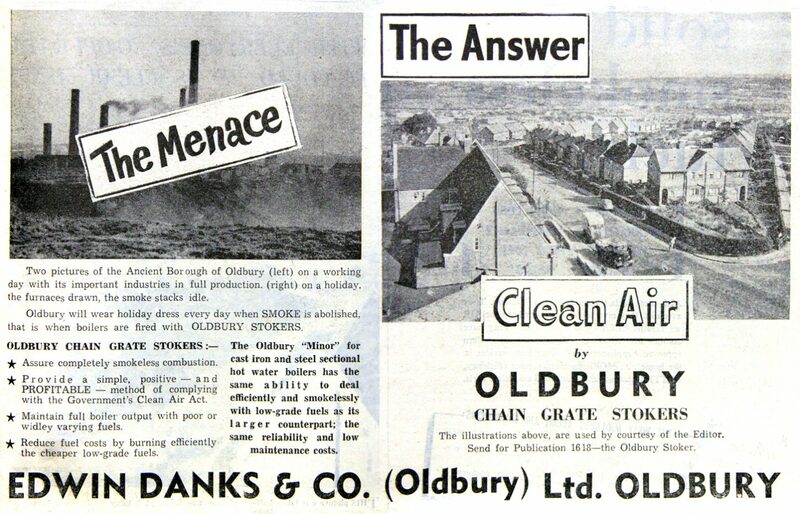 From the 'Made in Oldbury' souvenir brochure, 1949. 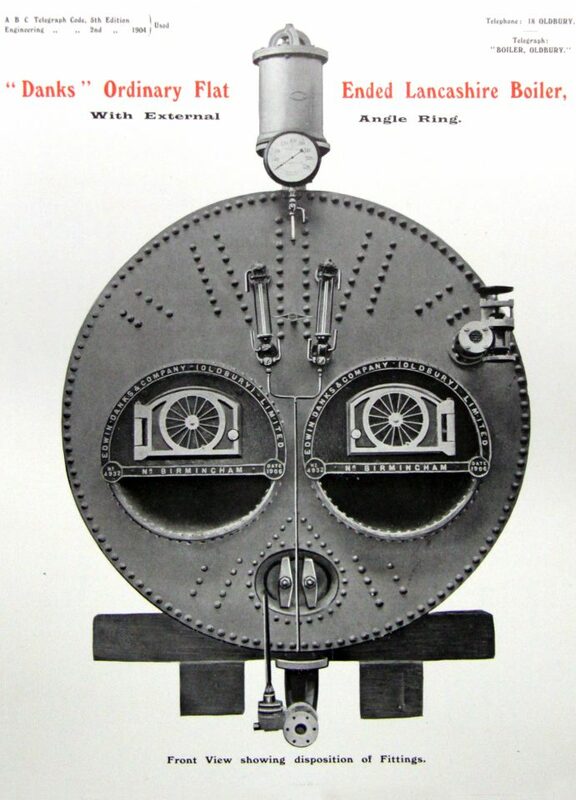 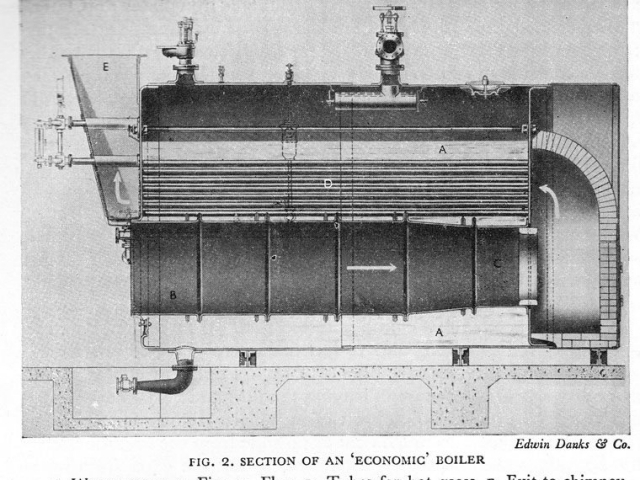 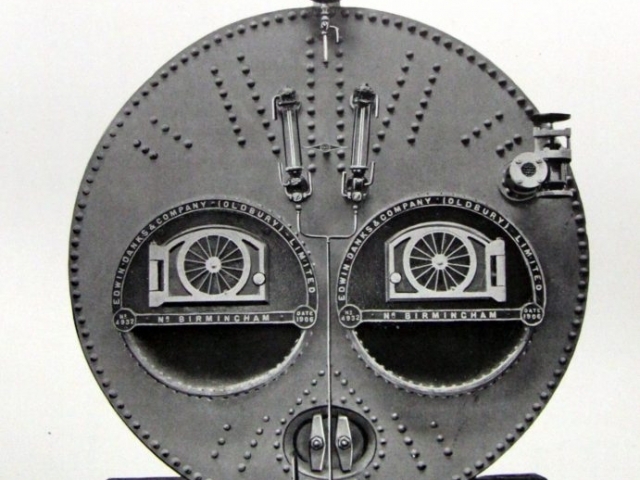 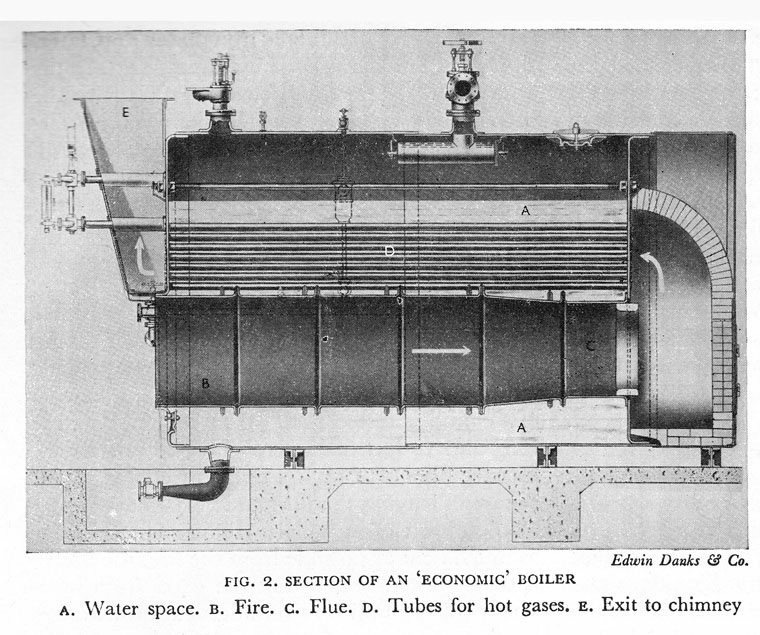 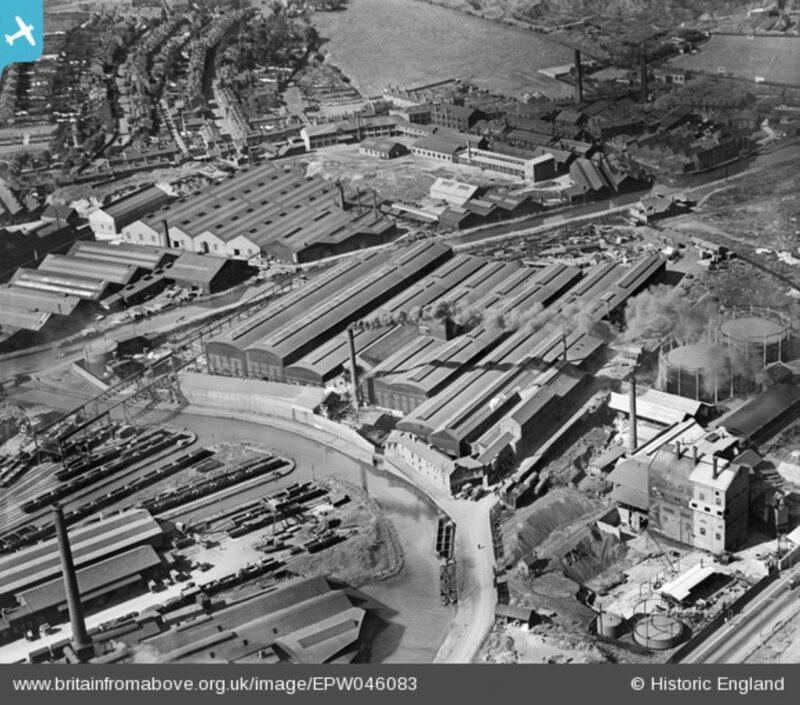 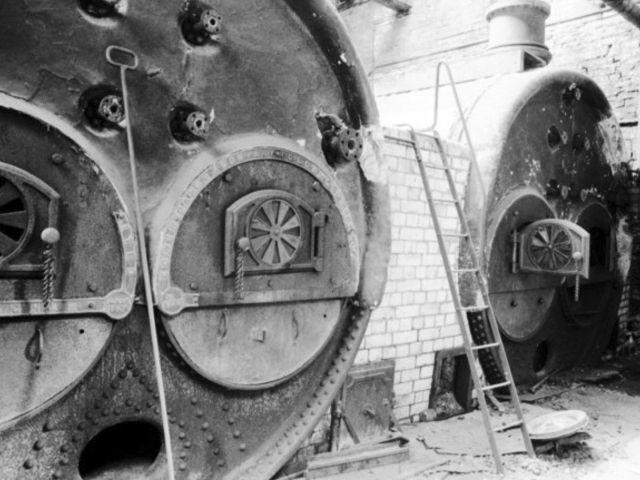 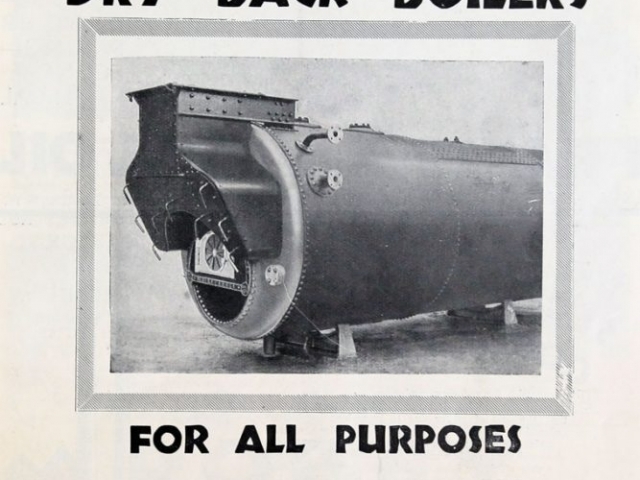 In 1910 they became part of Babcock and Wilson, concentrating on making ‘Lancashire’ type boilers. 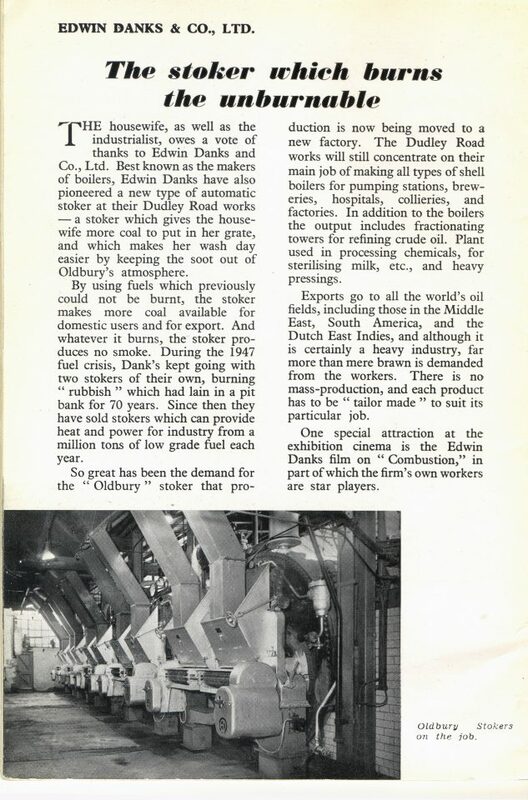 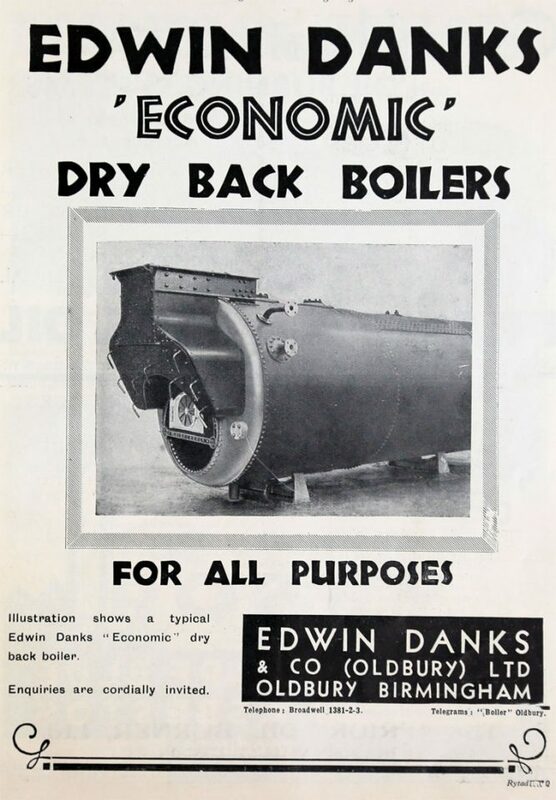 In the 1950s they were making all kinds of boilers for pumping stations, breweries, hospitals, collieries and factories – and exporting to the world’s oilfields. 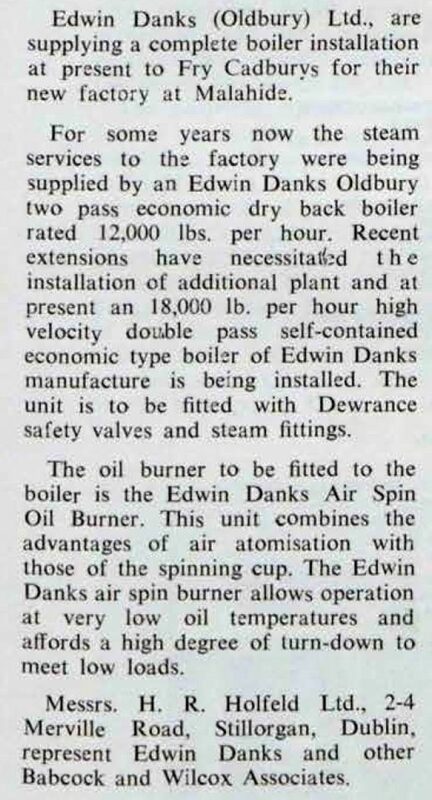 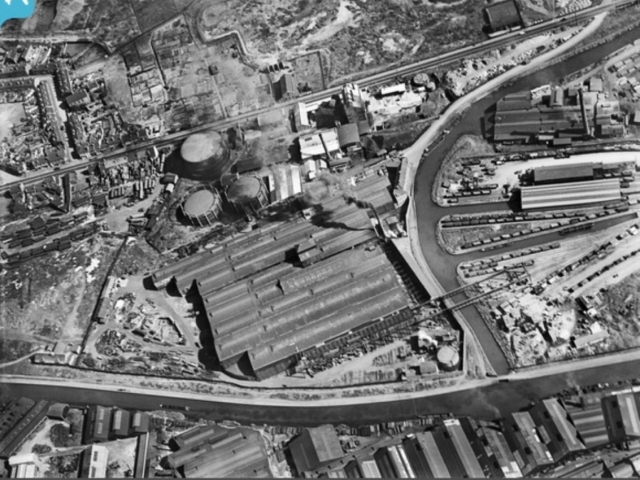 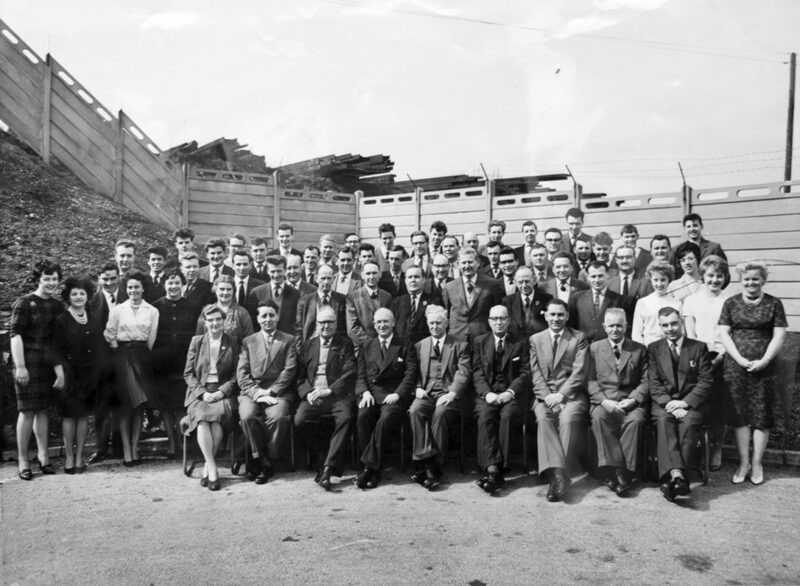 By the 1960s, their engineers were specialising in the manufacture of shell boilers, water tube boilers, pressure vessels, chain grate stokers and oil burners. 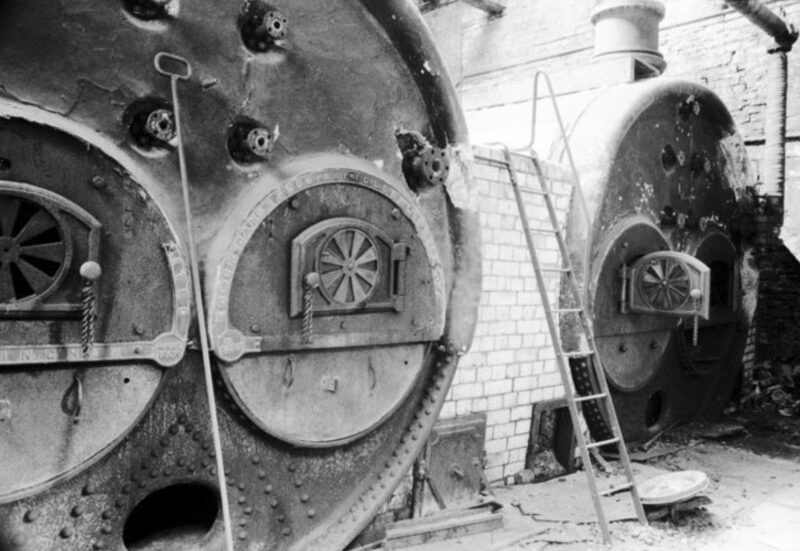 Lancashire boilers at Bliss Mill, Chipping Norton, photo by Chris Allen taken in the early 1980’s. 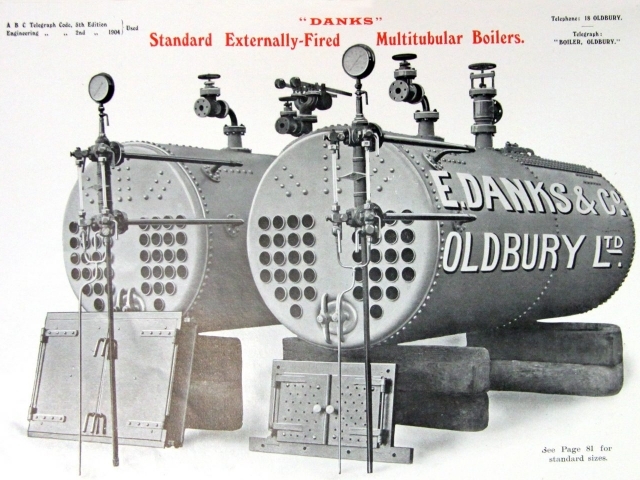 The one the left was made by Edwin Danks of Oldbury, dating from 1908. 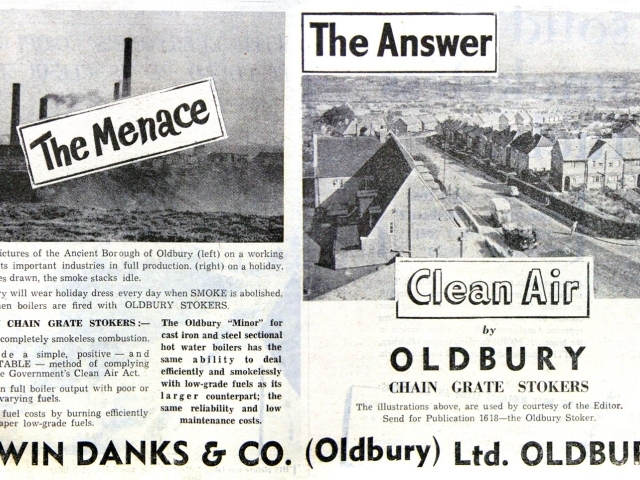 Advertisement in the Weekly News, 1956. 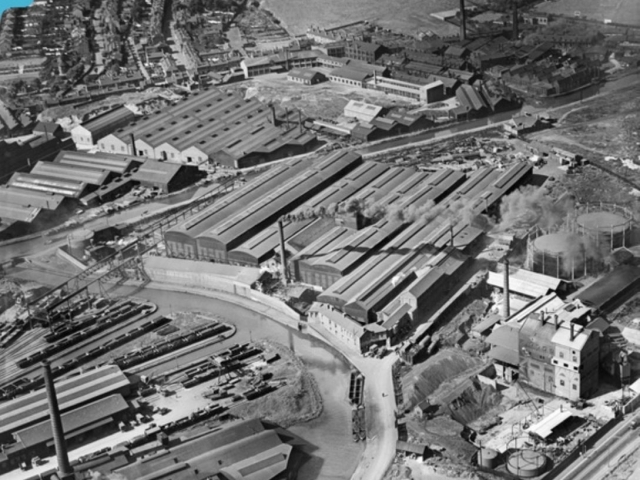 John Beach was born near Whimsey Bridge in Oldbury. 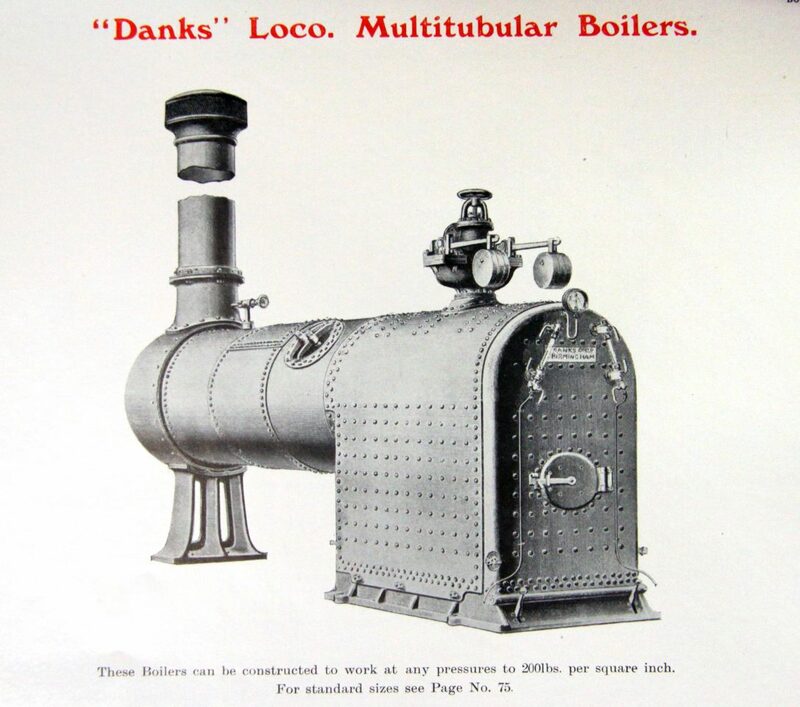 He worked for Edwin Danks.